We all know we should be building our code upon every commit to our version control system (VCS). That way we catch bugs quicker. There are no downsides. This is just as true for our database as it is for our code. If you need persuading of the benefits read this. But most of us don’t do it. I think they think it is hard? @way0utwest @_AlexYates_ I did it yesterday in about that time. 1. 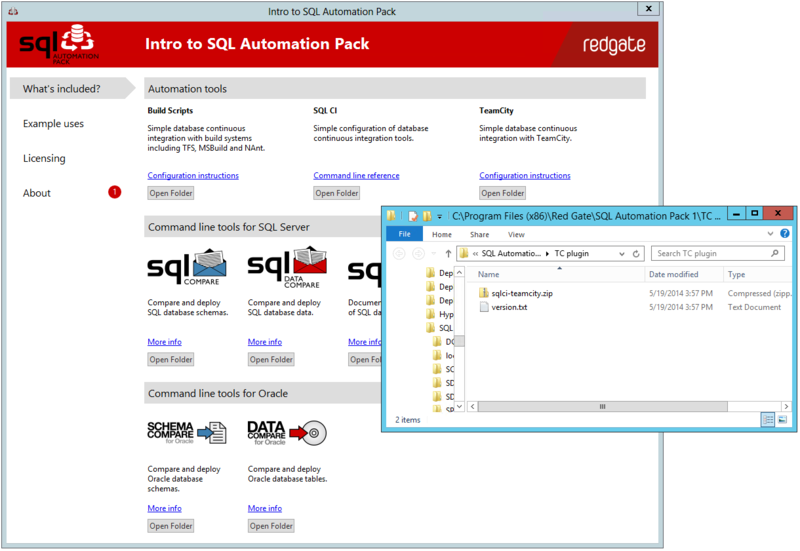 Fire up “Intro to SQL Automation Pack”. 2. Select ‘Open Folder’ under the TeamCity section in ‘Automation tools’. 4. Re-start the “TeamCity Server” service. 1. Add a new project ensuring that you add the VCS root where you are saving your database scripts. 2. 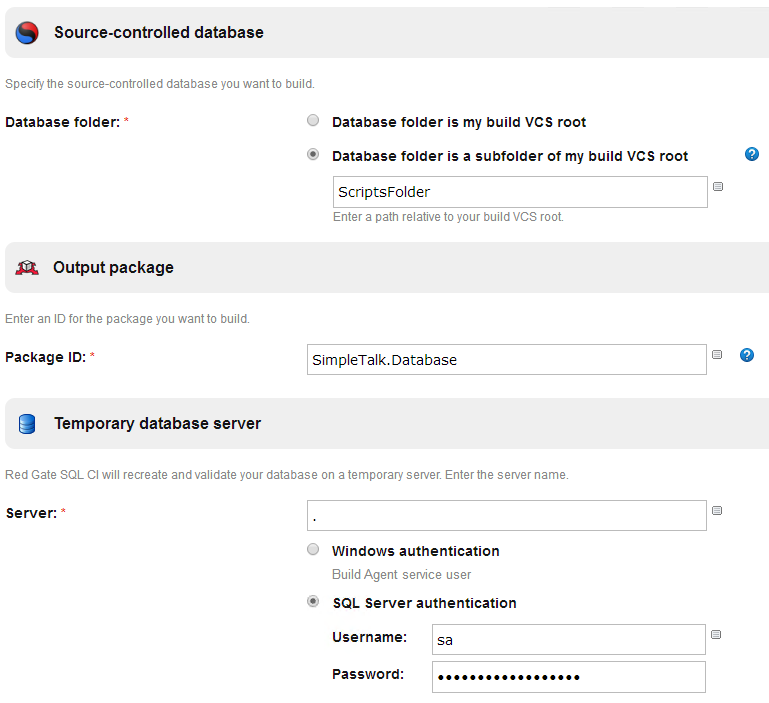 Add a new build step to your project and select the Red Gate SQL CI Build option. 3. Give the build step a Package ID. (This is a NuGet package that can be re-used by following build steps to further test your code. If the tests are successful you can deploy the package with your deployment tool). 5. Go to Build Triggers and add a VCS commit trigger. Stop the stopwatch and comment with your time! Also, you might want to test it by running the build manually or committing something to your VCS. If you are struggling in any area there is a more detailed worked example available on the official documentation site. If you are still struggling please contact me and I can help. You will notice that there are two other types of build step that come with the Red Gate TeamCity integration: ‘Red Gate SQL CI Test’ and ‘Red Gate SQL CI Sync’. The former can be used to automate any tSQLt unit tests that you have and the latter can be used to deploy your package to another environment. Both these steps should be run after the ‘Red Gate SQL CI Build’ step as they will use the package created in your build as a source. Following the build step you can run test and sync in any combination or order, for example running the tests on different editions of SQL Server or updating several different test databases to ensure they are all in sync with the latest (successful) version from source control.